The philosophy of Henry Bugbee defies traditional academic categorization. Though inspired by Heidegger and American Transcendentalism, he was also admired by the famous analytic philosopher Willard van Orman Quine, who described him as the ultimate exemplar of the examined life. 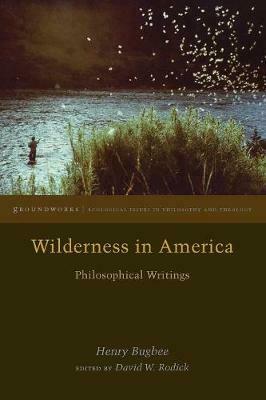 Bugbee's writings are remarkably different in form and register from anything written in twentieth-century American Philosophy. The beautifully written essays collected here show Bugbee's continuing commitment that "anyone who throws his entire personality into his work must to some extent adopt an aesthetic attitude and medium." Together, the book reintroduces a major thinker of nature, an environmental philosopher avant la lettre who has much to contribute to American and continental thought.